This past week, the three of us took a trip to New Mexico. Michael had a conference in Santa Fe and I have family outside Albuquerque so it was a perfect opportunity to take a mini-vacation and have everyone meet Alex. We also snuck in a trip to Taos which was well worth it. And, the food? 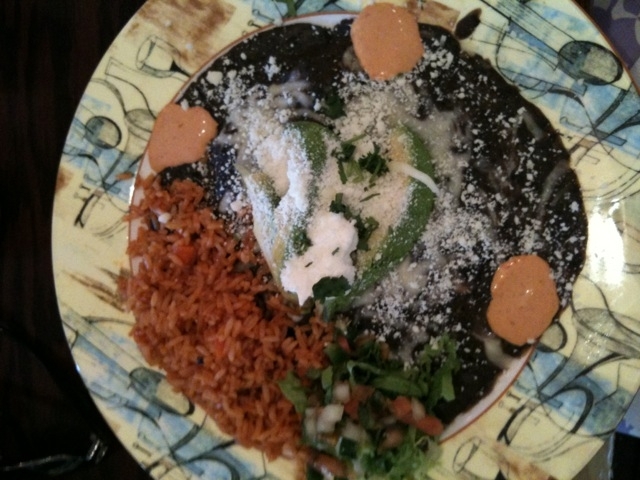 Well, of course the Southwestern and Mexican fare was amazing! I might have been slightly bean-and-chilied out by the time we left, but now I’m ready for more chiles rellenos and sopaipillas. I loved that ordering green chiles on burgers is standard fare, and that you can find all sorts of dried hot peppers in the local supermarket. 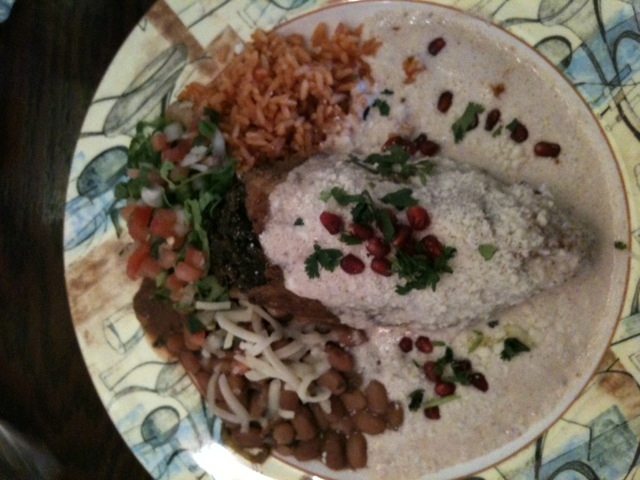 Any ideas on some “authentic” Mexican restaurants in Chicago? I clearly need to explore the Pilsen neighborhood further. 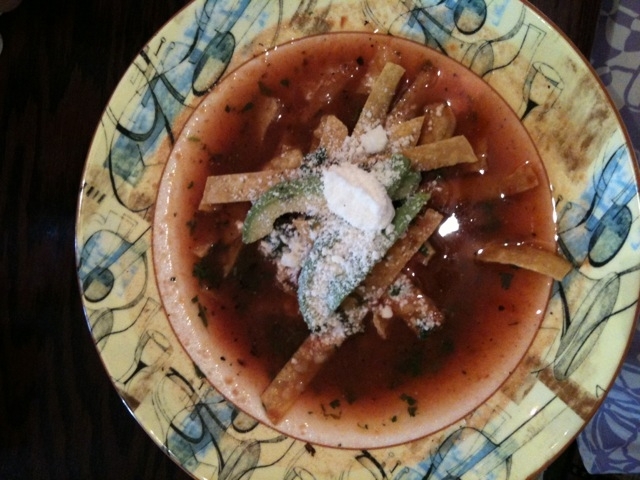 Below are some photos from a delicious meal in Taos, which included tortilla soup and enchiladas. Italian proverb of the day: Chi la sera i pasti li ha fatti, sta agli altri lavare i piatti. Translation: If one cooks the meal then the others wash up. Pasti means meals but the word pasta clearly derives from it. This is an Italian proverb, after all. Amen to that. 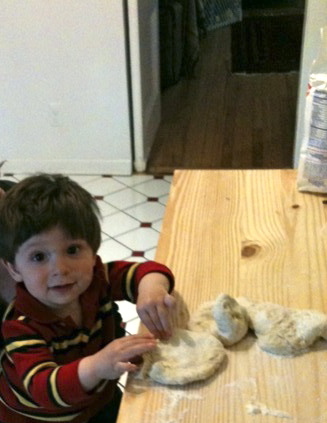 As noted by our recent Easter extravaganza, Michael cooks a feast (with my help prepping), and I clean, clean, clean! Although, these days, cleaning most often occurs in the morning. 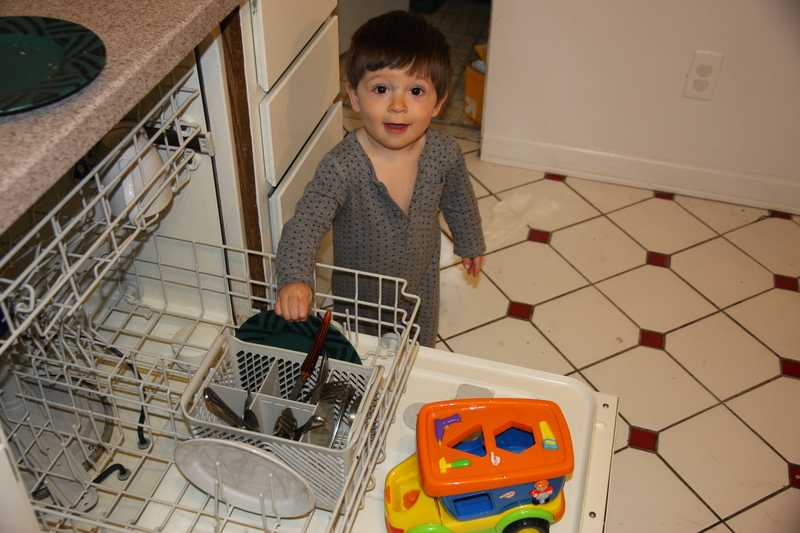 Alex’s room is right off the kitchen–not the most conducive spot for banging around pots and pans. Sometimes I’m afraid to open the fridge door, but if a glass of wine beckons, what can you do? Frequently there’s a 10-car pile up in the sink that I tackle after breakfast. By “tackle” I mean wrestle into the dishwasher, which can be a chore when Alex tries to take them back out. Watch out for sharp utensils! Michael might be a gourmet cook and I his trusted sous chef, but neither of us are dessert experts, especially not in the particulars of fondant icing. 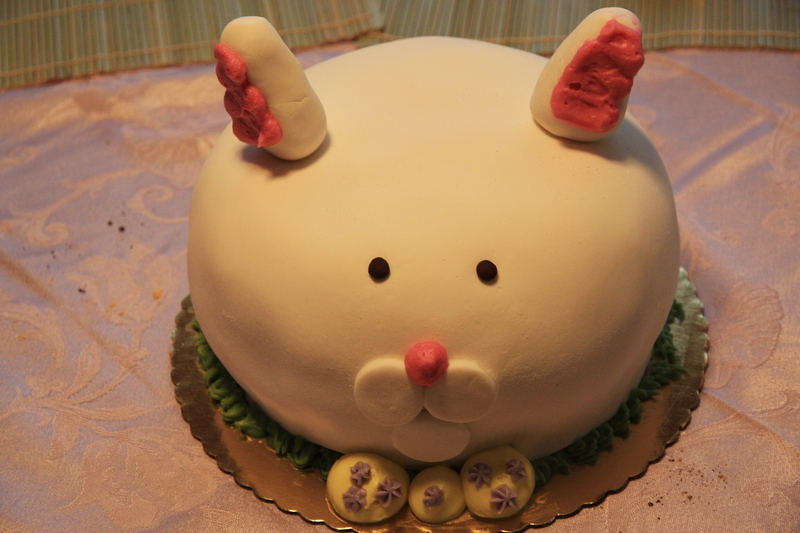 So, we bought a cake in the shape of a rabbit (see below) to celebrate Easter. 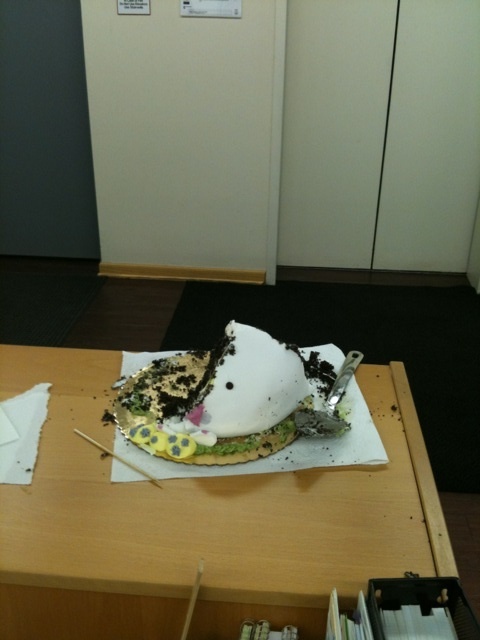 I’ve included some before and after pictures–the second photo is after my co-workers took a stab at it! 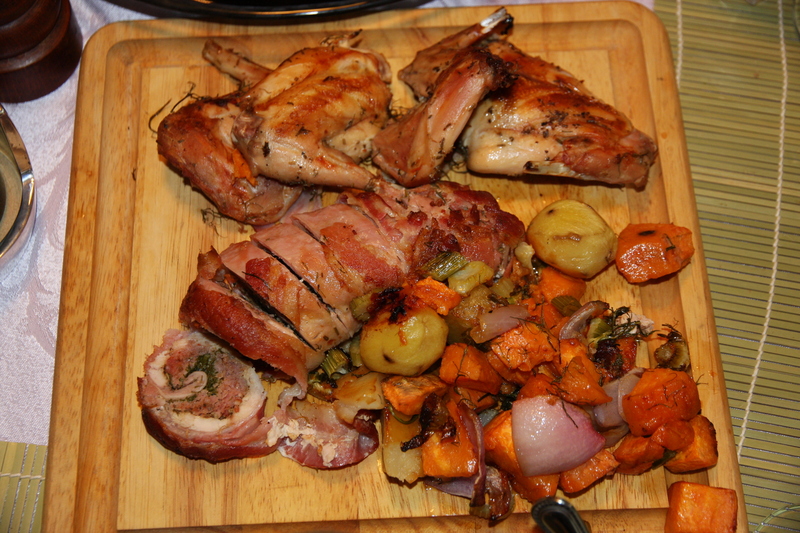 It went well with the real rabbit in porchetta that we ate. Delicious! Wow. 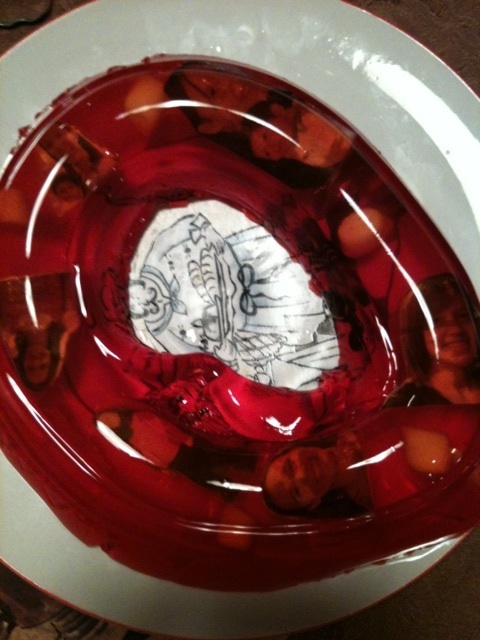 Check out the birthday “cake” (jello mold) that Michael made featuring photos of me and Alex. Thanks to Jeff Nichols for the idea!